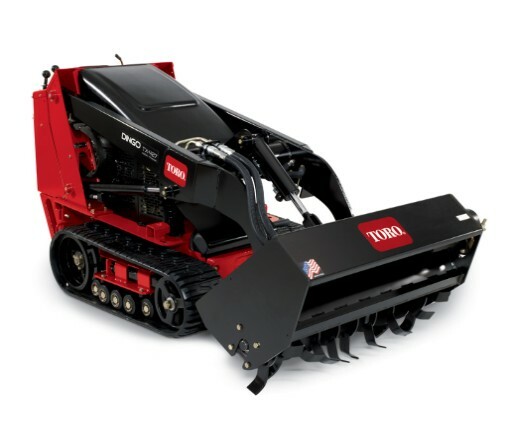 Looking to rent a highly capable Toro Dingo TX 427 Wide Track compact utility loader in Rochester NY, Ithaca NY and Western New York? The Duke Company proudly offers the finest rental equipment and prompt pick-up and delivery. Very capable 27 horse-power, gas-powered engine by industry leader – Kohler.